World Wrestling Entertainment says pro wrestling legend Ric Flair is out of surgery and resting after being hospitalized. The statement Monday did not give details about the nature of the surgery. A representative for the showman known as "Nature Boy" says the 68-year-old wrestler was admitted to the hospital for routine monitoring. Melinda Morris Zanoni of Legacy Talent asked on Twitter Monday for "prayers & positive energy" because Flair has "tough medical issues." Ric Flair with ABC11's Julie Wilson and Dearon Smith at Raleigh Supercon in July. Former pro wrestler Mick Foley and wrestling executive Eric Bischoff are among numerous wrestlers wishing Flair well on Twitter. Known for his flamboyant outfits and "Woooo!" 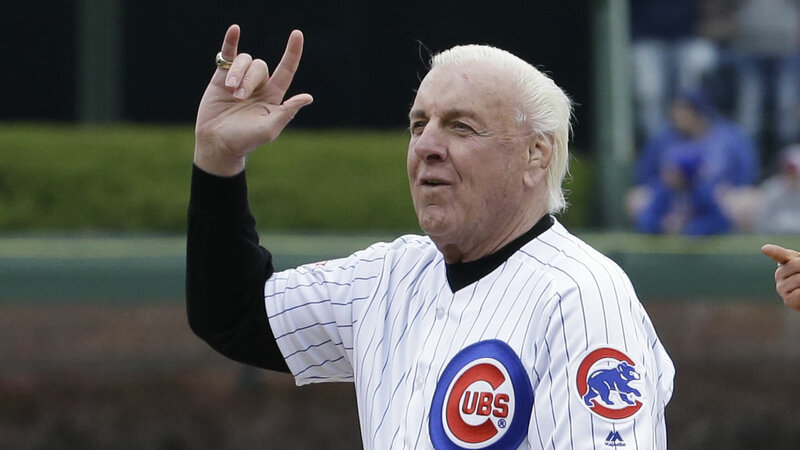 catchphrase, Flair made his professional debut in 1972 and was inducted into the World Wrestling Entertainment Hall of Fame in 2008. It's not clear where Flair is hospitalized. He lives in Charlotte.